WERM Ltd is a multi-disciplinary consultancy and operational survey company that specialises in sewerage and utility infrastructure projects. We pride ourselves on proven customer service, attention to detail, and our comprehensive knowledge of the water, wastewater, construction management and utility sectors. WERM Ltd was formed by the Managing Director, Alan Birch, and started trading in 1997. The company started out as a small but experienced team of Chartered Civil Engineers and rapidly grew into a successful, multi-discipline consultancy. Over 20 years later, the company continues to grow steadily, expanding the team and the portfolio of services, whilst capturing new clients in a competitive market as well as retaining repeat business, first secured over 20 years ago. Crest Nicholson South – Technical Consultant Runner Up of the Year – November 2016. Crest Nicholson Eastern – Runner up Consultant of the Year – November 2014. 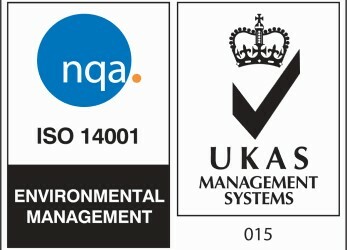 WERM Ltd is both ISO9001 and ISO14001 accredited. We are a UVDB Verify Registered Supplier (Category B2) and our safety systems are accredited, separately, by CQMS which is a SSIP registered member. We operate a successful training scheme that is accredited by the Institution of Civil Engineers. We carry insurances for professional indemnity, public and employer’s liability.